If you drive regularly, you know how important it is to maintain the health of your car’s headlights. Visibility is one of the most important safety measures when it comes to cars and you must never take it lightly. Making sure your headlights are in good condition is one safety measure everyone should be taking and understanding the best lights is one of the most important steps. While there are many available options in the market to replace the standard halogen lights that have been used since the ages, LED lights are considered to be the topmost choice. They have much greater focused intensity while also maintaining a neutral temperature within the headlight slot. This also reduces the life of the lens and prevents the oxidation that ends up affecting the visibility of the light. Additionally, these use up to 80 percent lesser power and allow the battery to last much longer. 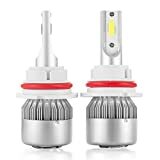 Read through this buying guide to understand the process to find the most suitable LED light for you, and the best ones available online. LED lights come with a specific brightness that determine the warmth of the light. Warm lights are generally under 3,500 Kelvin. The temperature of the colors is warm and would be ideal for those who do not need extended night visibility. Bright lights are between 3,500 and 5,000 Kelvin while super bright lights are the ones above the 5,000 Kelvin mark. Truck drivers who are used to extended night driving through unlit and relatively dark roads would be better off with the bright or super bright lights, whereas other drivers can go for the warm or bright lights based on personal choice and comfort. Warmer colors are usually less strenuous on the eye, but the strain may differ from person to person. While visibility might depend in part on the warmth of the colors, a large part also depends on the intensity of the light source itself. This intensity is measured in lumens. Different car makers use different intensity of lights, but they are all within the high visibility standards. While this was not a choice in the past, your current switch to LED lights will allow you this customization as well. LED lights are available from 6,000 to 10,000 lumens. Some of the high-intensity lights are available with warm color filters so that they are relatively less strenuous on the eye. Again, you can make the best choice based on comfort and convenience. The warranty of these lights should also be part of your decision making because the average 30,000 hour LED light should work for at least 3 years. 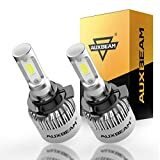 These are generally the right choice for most car users, while some might want to go with lights with a higher lifespan. Those buying LED lights for trucks might be better off with the 50,000 hour LED lights, but most car users might not need to use lights more than the 30,000 hour LED lights. They should easily last for over 3 years. One of the simplest designs and easiest installations make this all-in-one conversion kit one of the most popular online. It gives out 8,000 lumens per set and a cool white light at 6,000 Kelvin. The LED bulbs are waterproof and come with a warranty of 2 years. It comes in an aluminum body and heatsink with an integrated fan, making the lights that much more sturdy and durable. They come with the Philips LED chips in their lights making them highly reliable. Easy plug-and-play installation makes it ideal for most car users. It also comes with a dark spot removal technology. The brightness might not be as bright as you would expect for 8,000 lumens, but reviews suggest that intensity is best displayed in projector type headlights that some cars come with. 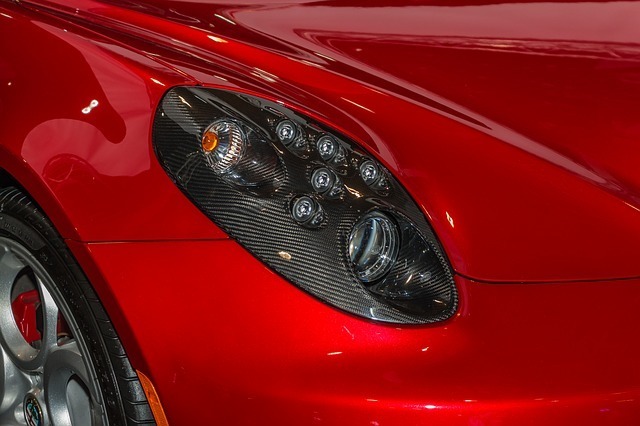 The Simdevanma headlights are known across the market for their performance in vehicles used for a variety of purposes. On the large scale, it seems like the Simdevanma lights work better in long distance viewing as against close range, and might work better for city usage on general cars as against trucks and extensive night driving. With a two year warranty, these LED lights are very popular in those that go for online conversion kits. It has an output of 9,600 lumens and comes with an easy installation. Their power consumption is also pretty low, making them a very good buy even for the health of your car batteries. The Cree XHP50 chips deliver very good brightness even in cars 5 to 7 years old. Easy installation and warranty make it a popular purchase. Some reviews suggest that the effectiveness of these LEDs reduces in areas where there are continuous bad weather conditions with low visibility. Reviews suggest that the Simdevanma headlight might be better for long distances, but the Hikari lights are preferred when it comes to close-range visibility. While the opinion of the brightness and intensity would change from eye to eye, there seems to be a consensus that these would work better on trucks as against the Simdevanma lights. Made out of a mix of plastic and aluminium with a fan on the back side. The casing is also aircraft grade with the plastic and aluminium mix. The intensity is at 12,000 lumen a pair and color is at 6,500 Kelvin, therefore a bright white or pure white light. The kit is also all-inclusive with a 2-year warranty and comes with a very well rated COB chip. Highly reliable casing that has been rendered aircraft grade. So it is clearly sturdy and durable. High-speed mute fan allows for a greater temperature maintenance and intensity. Short locking tabs are viewing as a hindrance in easy installation. These might not fit in all cars, so please check the fit before making the purchase. These filters are available on leading online marketplaces like Amazon. With a 2-year warranty and a very high durability evaluation through the aluminum casing and high-speed fan, these will certainly make for a good buy. The pure white light might not be the preferred personal choice for all, so make sure you are comfortable with that color warmth. These LED light bulbs are one of the best in the market. They are easy to install and come with an adjustable beam pattern. It has a super bright maximum light output with the Cree XHP50 LED chip. It offers 12,000 lumens a pair and assures at least 40,000 hours of clean and bright cool white light. They are very easy to install with a plug-and-play installation. They come with a 2-year warranty and are water resistance with a dual cooling technology, making them very durable. Some reviews suggest that their customer support can be much better and their responsiveness to customer issues can be improved. 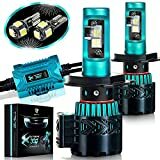 A lot of reviews state that users are extremely pleased with the light pattern and the color intensity that these lights deliver. While some reviews state a lack of customer support, a majority of the reviews suggest that such customer support is rarely required with the lights performing at a very good level for extended lengths of time. With a color temperature of 6,000 Kelvin as well as 6,000 lumens per bulb. It gives out a super bright light and can be used in headlights as well as fog lights. The build is very sturdy as well as a waterproof rubber seal that keeps the LED lights fully operational in extreme conditions. The Cree LED chips are very reliable and are a trusted brand across the market. It has an effective and efficient cooling system with a waterproof and dust-proof seal that makes them that much more durable as a product. These LED lights do not work with certain car models like the Mini Cooper. Some also suggest that they do not work well with reflector headlight housing. These are a trustworthy and reliable pair to invest in with a very good protective sealing and a reliable casing. The product will certainly last long and perform well. 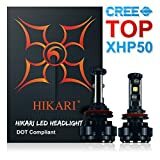 Reviews of these lights suggest that it is a really bright and effective white color that works well without the head beams too. Projector type housing for your headlights might be the best fit for these headlights. These are some of the best available lights in the market and would make for very good buys. The lights with a higher lumen output will be better for those that are prone to night driving, while those that are better rated to improve close-range visibility might be better to use in those areas that have bad or extreme weather conditions. 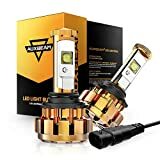 With all the options laid out and a guide to help you determine your needs, a choice of any of these LED lights will work very well in your car. It is certainly a good decision to move out of standard halogen lights that use a lot of power and reduce the life of the headlight lens. Just make sure you check that the lights fit your car and model, and you are all set after that final check.